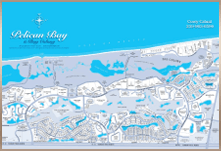 Naples, Fla. (October 20, 2016) – The Naples Area Board of REALTORS® (NABOR®) released its Third Quarter 2016 Market Report, which tracks home listings and sales within Collier County (excluding Marco Island), and it showed overall inventory increased 40 percent with little change in median closed prices. In fact, as reflected in the report, the overall median closed price for homes on the market increased only 4 percent to $312,000 in the 3Q of 2016 from $300,000 in the 3Q of 2015. This was predominately driven by a 9 percent increase in the $300,000 and below price category. Comparatively, all other price categories saw a zero or negative price adjustment. Upon reviewing the report, NABOR® President and Broker Associate with Berkshire Hathaway Home Services Florida Realty Rick Fioretti said, “a quick analysis of price behavior since December of 2015 shows median closed prices leveled out.” Several broker experts agreed with Fioretti, adding that the pricing trend is a natural reaction to the increase in inventory. While both pending and closed sales decreased 14 percent (quarter over quarter), inventory continued to rise in all areas of Collier County during the 3Q of 2016. Overall, inventory rose 40 percent to 5,044 homes in the 3Q of 2016 from 3,606 homes in the 3Q of 2015; with a marked increase in Central Naples, which rose 49 percent to 608 homes in the 3Q of 2016 from 408 homes in the 3Q of 2015. Inventory increases in the condominium market were also remarkable during the third quarter of 2016. This home type experienced a 53 percent increase in inventory to 2,375 condominiums in the 3Q of 2016 from 1,557 condominiums in the 3Q of 2015. 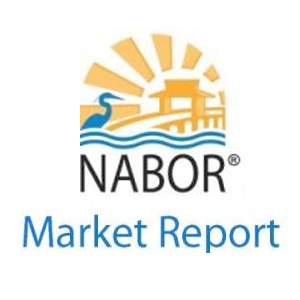 NABOR® also released its September 2016 Market Report, which showed activity in September 2016 compared to activity in September 2015 was a mixed bag. For example, while overall pending and closed sales decreased 12 and 19 percent, respectively, median closed prices held steady or decreased in 73 percent of the market in September. In fact, median closed prices for all homes above $500,000 decreased, with a 12 percent decrease occurring in the $2 million and over price category. As inventory continues to rise, sellers can be in the best position to find the right buyer when they work closely with a REALTOR®. A REALTOR® can help you do a market comparison and determine a fair and reasonable listing price. A REALTOR® can also identify properties best suited for your needs and negotiate a purchase price that fits your budget.